A sunny October day with a blue sky and a breeze sitting on the porch operating a KX3 with some good ham buddies is just about as good as it gets. Thanks to Craig NM4T and Huntsville team for letting me join in. This was the Alabama Lighthouse event which involved three lighthouses. The goal was to bring awareness of the Alabama lighthouses via the airwaves. So this allowed time to rag chew vice contest ops.We were at Fort Morgan which has the Mobile Point Lighthouse. The Sand Island Lighthouse was in sight from Fort Morgan. The Middle Bay Lighthouse was not in our sight but they had a team there also. There were two operating positions at the lighthouse keepers house; first a travel trailer with the Icom 756 Pro and second a side building with an Elecraft K3. My KX3 was setup on the porch. The team had a Alpha Delta multi-band inverted vee supported by a fiber glass pole and numerous end fed half wave antennas also supported by fiberglass poles. Jerry Brown N4EO showed me his tuners for the end feds. They were high power versions of what I have used. He has used them successfully from Hawaii and Iraq. Craig and I setup my off center fed dipole off the truck mast with fiberglass poles on the ends. 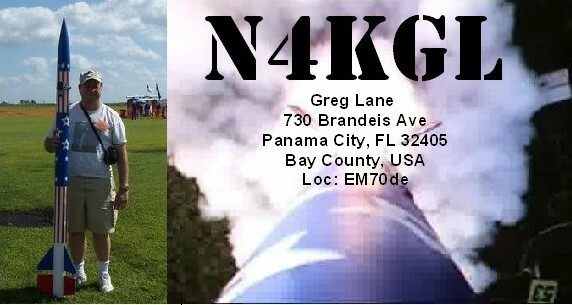 Craig and I had success withe the KX3 on 20 and 17 meters. Jerry made 23 contacts on 15 meters with the KX3 in the California QSO Party. He switched to an end fed halfwave to get a better signal into CA. Jerry had a good tip for me. The KX3 was getting clicks from the 100 watt K3 on 20 meters when he was on 15 meters. Switching the KX3 preamp off took care of the clicks. This was a long day trip for me from Panama City to Fort Morgan but definitely worth it. Everyone was very friendly. I have a few more Huntsville area friends now including Jerry N4EO, Jamie K4OEY and Ed N4EDT. I wound up the visit with dinner with the group. I am looking forward to a possible return next year and any portable opportunity that Craig NM4T might cook up!